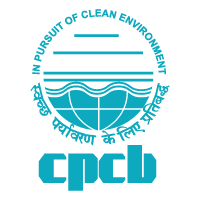 Central Pollution Control Board (CPCB) has going to conduct written exam for posts Lower Division Clerk (LDC) on 10th June 2018. Candidates who are applied for CPCB LDC jobs they need to check eligible or not eligible through below link. The written exam will be conducted on 10/06/2018, so candidates who are applied they must and should check LDC Syllabus 2018, Previous Year Question Paper of LDC exam, last 5 years question papers of CPCB LDC Test to get a high score in the written exam. Old question papers and answer key papers will be updated soon on our website. CPCB LDC Question Paper 2018, CPCB LDC Answer Key 2018, Cut Off Marks, Syllabus, Results Date, Computer Based Test (CBT) Exam Date, and more details will be updated soon. Negative Marks: There will be the Negative marking of 25% of mark allotted to each question for each wrong answer. Writing skills either in Hindi or English – Essay (100 to 150 words), Application & Precis writing – 10 Marks each. After Qualifying in the written exam, a computer-based typing test at a minimum speed of 35 WPM in English or 30 WPM in Hindi shall be conducted.